As most writers know, there isn’t much money in being an author; the money, if you can get a successful freelance writing business going, is in freelance writing work and ghostwriting. There are so many different freelance writing and ghostwriting jobs you can do. But, to keep your target market focused and to strengthen your area of expertise, you should choose one or two specific types. Offering too many varying services weakens your platform and your authoritative status. It should be mentioned that you can also learn the copywriting ropes and create a copywriting business or simply include its techniques to enhance your own writing. But, for now we’ll stick to freelance writing work, including ghostwriting; although some of the opportunities may require a bit of basic copywriting skills. 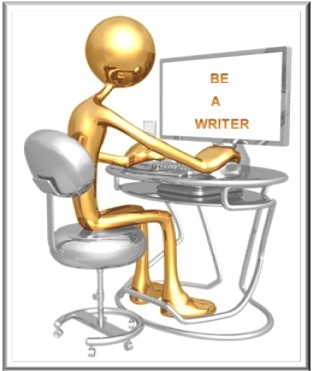 All written content has the need for a writer. And, chances are there is someone, somewhere looking for some type of freelance writing work. It’s a matter of finding the work and attracting clients. The important thing is to have your freelance writing business visible. I had someone contact me to write a six to ten page report as part of a job application requirement. He was busy over the weekend and wouldn’t have time to do it himself. He found me through a Google search using ‘ghostwriter’ as a keyword. I don’t do rush jobs, so had to decline. This is another aspect of freelance writing work that you may want to consider, there are some businesses that offer very quick turn around. People pay more money for this type of service. Yet another point to make is that when someone contacts you for freelance writing work, and for whatever reason, you can’t do it, try to be helpful in some way; make a lasting impression. I gave the ‘job application guy’ some tips on what to look for in a qualified freelance writer and told him to call me if he needs any other work. So, you can see that if you’re out there, doing information marketing and building a quality business, it definitely helps in finding clients and garnering freelance writing work.